Fiction – Kindle edition; Vintage Digital; 98 pages; 2012. Fred Uhlman’s classic novella Reunion — first published in 1971 — is a universal story about the friendship between two teenage school boys. But this is no average story, no average friendship, for it is set in Germany in the early 1930s, just as Nazism is on the rise. The story is narrated by middle-class Hans Schwarz, the son of a Jewish doctor and grandson of a rabbi, looking back on a special friendship he shared with the aristocratic Konradin von Hohenfel, whose parents sided with Hitler, some 25 years after they lost contact with one another. He came into my life in February 1932 and never left it again. […] I can remember the day and the hour when I first set eyes on this boy who was to be the source of my greatest happiness and of my greatest despair. We stared at him as if we had seen a ghost. What struck me and probably all of us more than anything else, more than his self-assured bearing, his aristocratic air and slight, faintly supercilious smile, was his elegance. We were all, so far as our style of dress was concerned, a dreary lot. […] But with this boy it was different. He wore long trousers, beautifully cut and creased, obviously not off the peg like ours. His suit looked expensive: it was light grey with a herringbone pattern and almost certainly “Guaranteed English”. He wore a pale blue shirt and a dark blue tie with small white polka-dots; in contrast our neckwear was dirty, greasy and rope-like. Even though we regarded any attempt at elegance as “sissy”, we couldn’t help looking enviously at this picture of ease and distinction. It takes a concerted effort to “woo” Konradin by the shy Hans, but eventually they bond over a shared love of coin collecting. Konradin is welcomed into the Schwarz family home after school on a regular basis, but the favour takes a long time to be returned — and when it is, it doesn’t take Hans long to realise that he is only ever invited over when Konradin’s parents are away. Tensions in the friendship become heightened — almost in tandem with the rise of anti-Semitism in German society — and things come to a head just as Hitler is about to be appointed Chancellor. I won’t say any more, but the book has a spine-tingling — and quite unexpected — final sentence that gives the story extra resonance and poignancy. 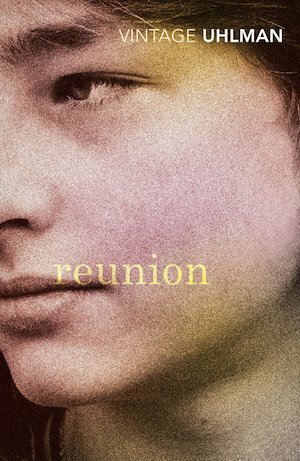 Reunion is a beautiful depiction of an “ideal friendship” between two 16-year-old boys from different backgrounds. Though we largely experience it from Hans’ point of view, it perfectly captures the all-pervasive need to have that one special person in our lives — with whom we can share our interests, our troubles, our desires — when we are teens. It also highlights how loyalty can be tested, in this case to the extreme, by circumstances beyond our control. I loved the mood of the book — it’s nostalgic and wistful without being sentimental — and it’s written in a perfectly matter-of-fact way but is done so eloquently the sentences feel as if they’ve been spun from silk. It’s a quick read, too, but it’s the kind of story that stays with you, not least because it shows how friendships can endure beyond the worst of human catastrophe. My edition includes a short introduction written by French novelist Jean d’Ormesson in 1997, but the novella has also been championed by Arthur Koestler, who described it as a “minor masterpiece”, and Rachel Seiffert. It came to my attention via Armen, a member of my book group, who recommended it to me late last year. Finally, I should point out that Uhlman wrote Reunion in English, not German. He emigrated to the UK in 1936 after stints in France and Spain. You can read more about his eventful life on his Wikipedia page. He seems to have been a rather talented man all round — he was a painter and artist, as well as a writer — so I imagine languages were just another part of his creative skill set. Lovely review Kim. I stumbled upon this at the end of last year and loved it – one of those perfect little novellas that says so much. Thanks Kaggsy 🙂 It seems such a short little book but there’s so much going on … a really lovely read, actually. Beautifully written review Kim. I would love to read this. I want to find out what the chilling last sentence is!